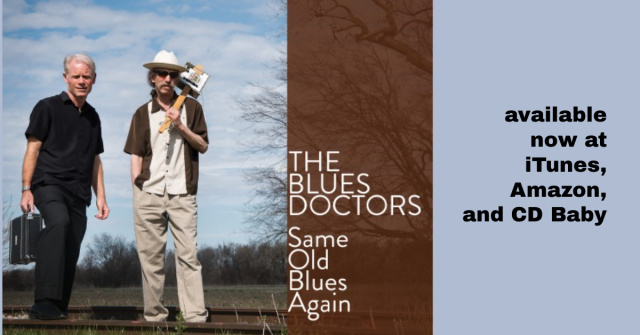 In March 2007, during my first burst of uploads to YouTube, I improvised a slow blues in a harmonica video that, to my amazement, struck a nerve with players around the world. A number of them created tribute videos of a particular kind: determined attempts to replicate my improvisation--almost as though it were a final exam they needed to ace in order to graduate. They did this without any help on my part. Which is to say: they listened very closely, figured out what I was doing, and committed each phrase to memory. I am hugely impressed by their achievement. After accruing more than 350,000 hits, my video was later taken down by YouTube for no reason I could understand. I re-uploaded it to Vimeo, then later, in November 2014, put it back up on YouTube, retitled so as to avoid detection. Here is the original video and a handful of those versionings. The second video, created by Vlad Budnick, adds an entire rhythm section to my solo harp!